3 What are the qualities of the best ice fishing reels? There are two main types of fishing reels available in the market, the spinning reel and the inline reel. Even though both these reel types are phenomenal, they both have different functions and works great under different circumstances. An inline reel will provide you with continuous performance, without any regard to temperature or the duration of your trip. Moreover, as the components are pretty far apart from each other, there is no risk of them locking up should any water get in and freeze up. However, if the gearing does freeze up, you will be back in action in no time as the inline ice fishing reels’ thaw much faster than spinning reels. On the other hand, spinning reels are more beginners friendly. 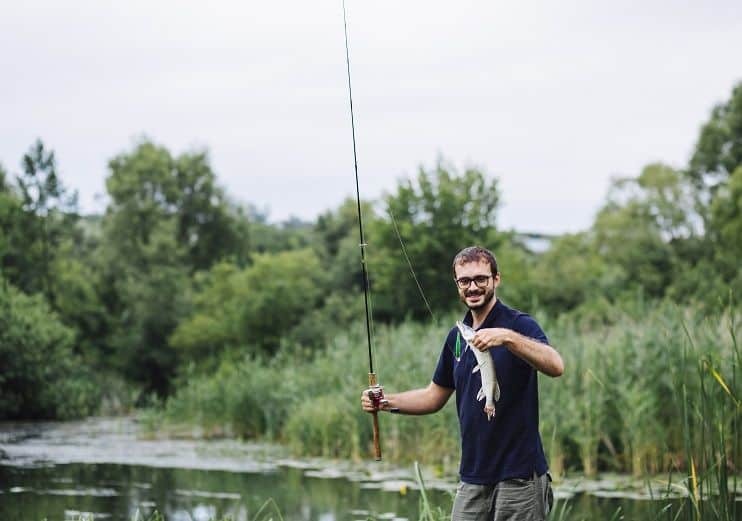 You can just grab one and start fishing almost immediately; these reels feature a versatile design and can be used in various fishing conditions. Reels used for ice fishing tend to be very lightweight as they are usually constructed with sturdy graphite materials; graphite is not only super strong but at the same time is extremely lightweight making the reels perfect for harsh winter temperatures. Some of the best ice fishing reels has many ball bearings. This is an advantage because it ensures that the reel operates smoothly and moves freely even when under heavy load. The more bearings you have, the better the performance you will get out of your reel and the faster the spin speed of your reel will be. In order to retrieve the fish from its natural habitat, a procedure known as dragging is essential. To make this easier for you, consider purchasing a reel that allows the line to flow without too much resistance. Additionally, an adjustable reel as it allows you to fish a variety of species, ranging from smaller fishes to larger ones. Ice reels use a different grease from the standard reels. This prevents them from freezing up in the cold temperatures. There are some reels that use an anti-ice system. This system includes the use of an antifreeze paste on the reel that prevents components from locking up too much during use. So, what is you can get for your money? The 13 Fishing Black Betty Fishing Reels are arguably some of the best and the customer reviews back it up. The reel boasts a smooth carbon drag system in addition to a bait alarm. Moreover, the 2.7:1 Gear ratio allows the reel to retrieve at a rate of 19” per crank. The type of reel is also dependent on the type of fish you intend to catch. For example, the best ice fishing reels for pan fish would be the Eagle Claw Inline. It offers great value for the price. It has as solid nylon body and spool that is durable and dependable and should last you for quite a while. In addition to that, this line comes with numerous features which make it adaptable to different conditions. What are the qualities of the best ice fishing reels? A high quality long lasting reel that can handle cold temperatures and hard abuse. Can handle loads of small fishes like Smelts up to larger ones like Pike. Has a very smooth feel. The bale does not hang up. The line does not slip. 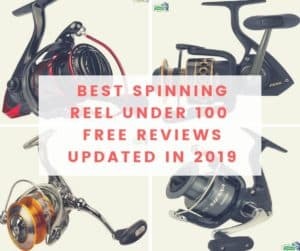 The best ice fishing reels available in the market presents you with lots of varieties and options, but at the end of the day, you must pick the one that serves your requirements and preferences right. Durability, weight, smoothness and other performance factors play a major role in determining the effectiveness of the reel. Having a poor quality reel guarantees you nothing except an unsuccessful fishing trip. Therefore, it is crucial to be prepared and pick the right reel to complete your gear for your ice fishing trip.